Mukang Labs, Inc., an EPA-registered facility, provides analytical services to all segments of business, industry, government, and the academic world. Commitment to quality is exemplified in the comprehensive QA/QC program in place at Mukang Labs. A QA/QC officer is responsible for the accuracy of analytical results and compliance with current regulatory requirements. Strict adherence to a written QA/QC program that meets regulatory compliance is essential to assuring the legal or scientific defensibility of data. Our systems for sample log-in, testing and report generation have evolved to insure complete and accurate results. 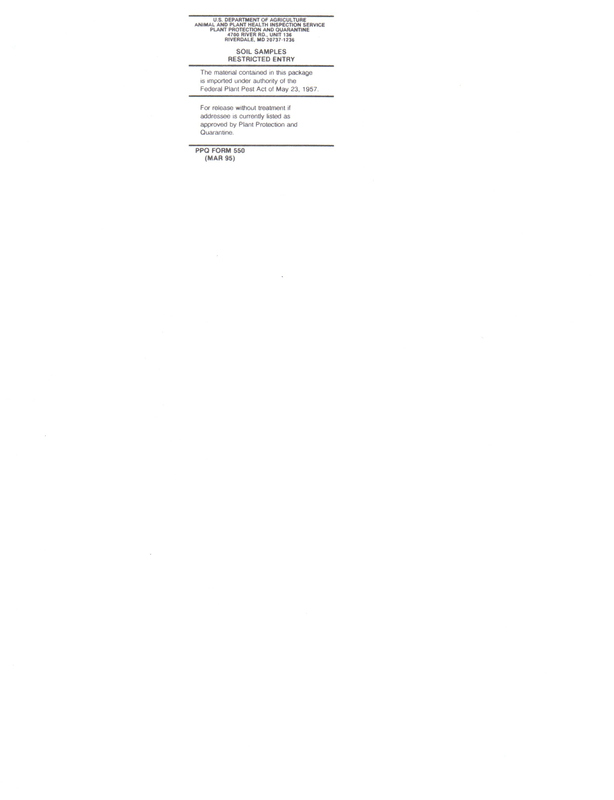 Here is our certificate and scope for drinking water and wastewater from Washington State Department of Ecology (DOE) and endorsed by Washington State Department of Health (DOH). Here is our certificate for forage (alfalfa, grass, corn, silage etc.) 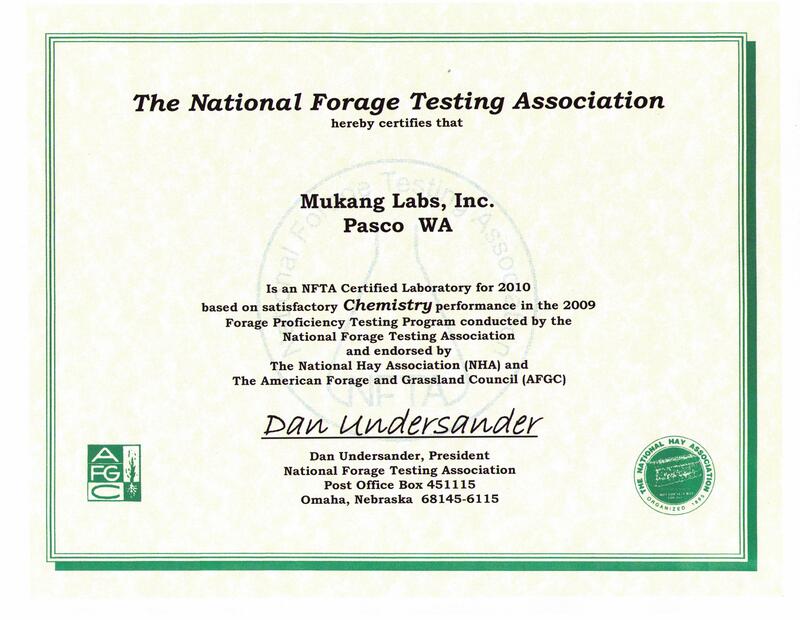 testing from the National Forage Testing Association (NFTA) and endorsed by the National Hay Association (NHA) and the American Forage and Grassland Council (AFGC). 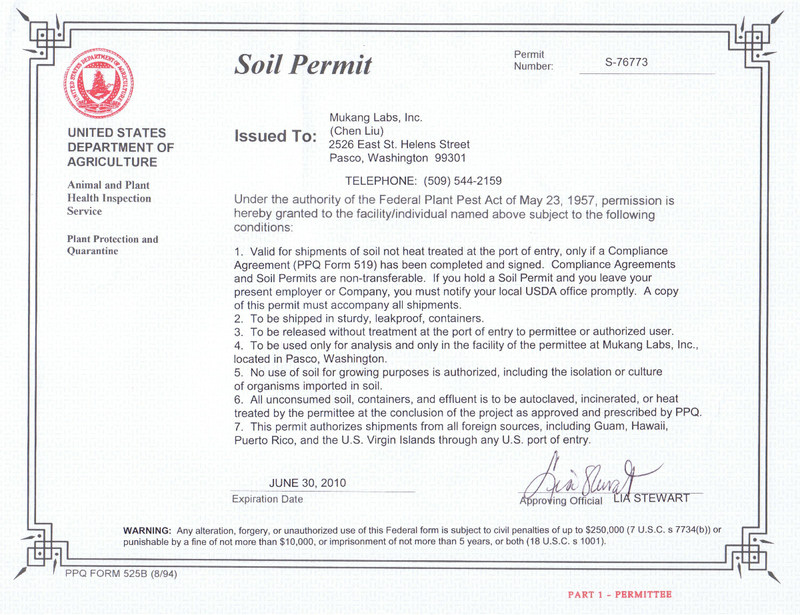 Here is our Soil Permit from United States Department of Agriculture to accept soil samples from foreign countries. Here is our Sticker from United States Department of Agriculture to accept soil samples from foreign countries. Your Monday blues will be cured if you head replica watches on over to TalkShoes¨Cwe promise louis vuitton replica. You can shop the weekend¡¯s best replica handbags uk shoe deals, and longchamp outlet you can check our editor¡¯s favorite replica handbags uk shoes under $500! You can also cure replica handbags those Monday blues by louis vuitton replica swooning over Jennifer Lopez¡¯s gucci replica uk Casadei Suede Blade Pumps. Before cheap soccer jerseys we conclude, now that Paris longchamp outlet Fashion Week is over, we found rolex replica watches the 30 best shoes from the discount swiss replica watches uk for sale Fall 2015 runways. Now if that doesn¡¯t help cure the blues we don¡¯t know what will.